Introduce STEM to your Physical Science class by starting with this simple density challenge. Data analysis is a difficult concept for students. It usually requires data collecting and graphical depiction. It can be difficult for an instructor to give students many opportunities to practice rumbling with data. Many students do not competently understand data analysis until several experiences. I often didn't see strides with data analysis until students reached a Junior or Senior year and many times only after completion of a college prep or college level course. 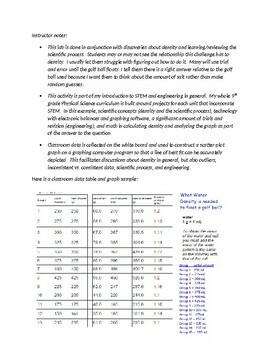 Use this student sheet and instructor notes with the "Introduction Lab Report Writing Guide (Beginner)" and "Introduction Lab Report Writing Rubric (Beginner)" sheets supplied on this site to help students to develop better scientific literacy. 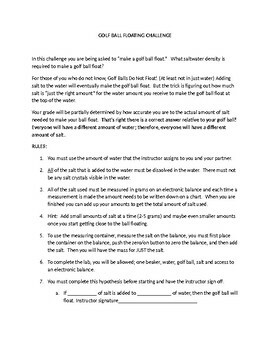 This engineering activity will help students develop the concept of the scientific process and extend that process to lab report writing. 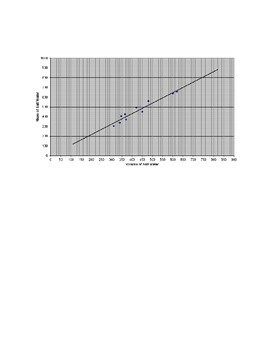 Please read my explanation of "Introducing Lab Report Writing as a Process" located on this site to get the most out of this activity and the lab report writing guide and rubric available.